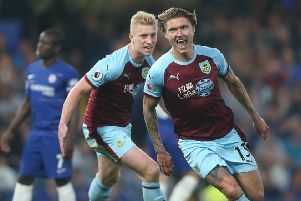 Burnley are facing what could be a vital January transfer window as they look to preserve their Premier League status. But Clarets boss Sean Dyche has warned that it will not be a “walk in the park”. But Dyche explained that, while there could be some knowledge helpful in the immediate future, it was made with the long-term in mind. So there is no immediate pressure on Rigg, who has been technical director with the FA of Wales, Blackburn Rovers’ chief scout, head of player acquisition at Manchester City, technical director at QPR, head of talent identification at the Football Association, and chief footballing officer at Fulham. And Dyche said: “I think the first thought is to add some new thinking and new ideas to the recruitment side of the club. That will probably develop over time, but that’s certainly the first meat on the bones so to speak, for him to really get his teeth into. “We want to add layers to it and get more depth into our recruitment. That’s one of the key things. The model of recruitment, the depth, the knowledge, the increase in how we can work in order to get the next level of player that we need. “Don’t get me wrong, you land with a moment or a bit of knowledge on the player, but what I mean is he’s not been brought in for the next three months he’s been brought in for a long period to go from window to window. Burnley didn’t do the business they would have liked in the summer, and Dyche added: “It’s not that easy, January is a really tough period. “We had a tough summer window, we were looking to do more business than we did but it’s not that easy. “So I don’t envisage January to be a walk in the park as regards signing players, we’ve got some we think might be situations we could affect, but who knows? “We’re not looking for immediacy (with Rigg), we’re looking for him to build something over time, there’s no fast fix.